The year 2007 is coming closer and closer. Next year's NBA games are on sale for months. 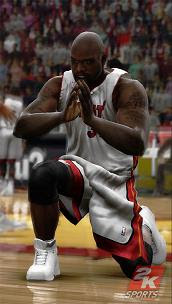 EA offers NBA LIVE 2007 and 2K Sports comes along with NBA 2K7. That is where you cannot only perform great dunks but great prayers as well.